Our product range includes a wide range of conveyor belt weighing systems, platform type weighing scales, electronic crane weighing scales, heavy duty weighing scales and table top weighing scales. To furnish the diverse requirements of our clients in the best possible manner we are involved in offering an extensive range of Conveyor Belt Weighing Systems. We manufacture a range of models in crane type Electronic Crane Weighing Scales used for heavy duty industrial weighing purposes. 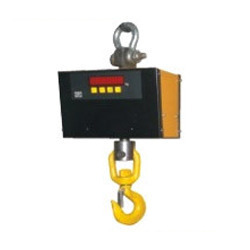 The crane type scale has 6V in-built battery backup and 2 inch LED display which is optional. It comes with material weighing and overload protection and the accuracy is 3 to 5% of the rated capacity. 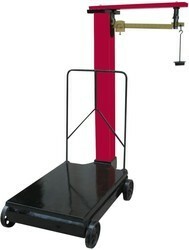 These Crane Scales are appreciated in the worldwide market. We offer easy to install Heavy Duty Weighing Scales which is widely used in co-operative dairies, private dairies and other consumer market. This scale has 6V in-built battery backup and operates at 230v 50hz voltage supply. 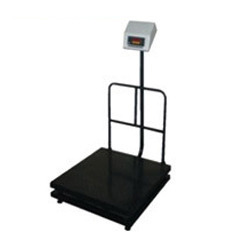 We manufacture a range of models of heavy duty weighing scales each having different capacity. Our engineers specialize in the manufacture of Table Top Weighing Scales which comprises of a mains fail indication on front panel. The scale has 6V in-built battery backup and operates at 230v 50hz voltage supply. It is compact in design, easily portable and has software calibration. Offered scales are highly demanded for use in various weighing applications due to their high measurement accuracy.